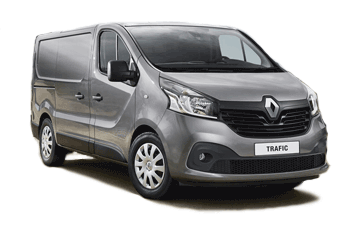 The all new Renault Trafic is available as a panel van, Crew van or passenger van in short and long wheel base, low and high roof configurations. They offer load volumes of between 5.2 m3 to over 8 m3 when combined with a flap underneath the passenger bench (Business + and above) which also allows an extra 1.2m in load length to accommodate 3.75m or 4.15m dependant on SWB or LWB. There is also another 90L of storage in the cab including under seat storage. The vans are offered ith 180 degree opening and unglazed unless specified. The Renault Trafic crew van has seating for six including individual arms rests, reading lights, 12v socket and reclining seating. The storage offers 3.2 m3 to 4.0 m3 for the LWB version. 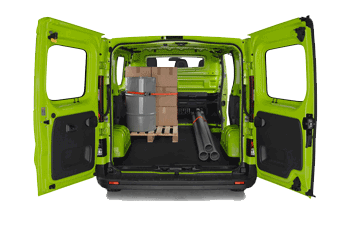 The Renault Trafic Passenger van offers seating up to 9 persons with good access including a rear hatch door, individual arm rests, seat belts and reading lights. All vans have the new dashboard offering centre console multimedia and air conditioning controls where applicable. There is an option of keyless access and go with a hands free card. Business editions get - Trip computer – 12v cabin socket – 6 speed gearbox with gear indicator – Electric front windows – Electrically adjustable mirrors – rear 180 degree unglazed access doors – roof bar fittings – ESC with Hill start assist and Grip Xtend to ease driving control – Full steel bulkhead – ABS – Immobiliser – Remote central locking with deadlocks – Drivers Airbag – 4 Disk braking. Business + editions also get – Manual Air conditioning – Load flaps on the steel bulkhead – Smartphone dock – Rear park assist sensors – Wide view mirror. Sport Editions also get – Leather covered steering wheel – Premium dashboard – two spot reading lights – metallic paint – Alloy wheels – Front Fog lights – Cruise control and speed limiter. 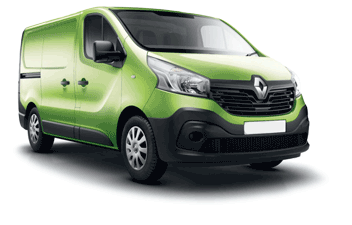 Also consider the Fiat Scudo van, the Citroen Dispatch van, the new Ford Transit Custom and SWB vans, the Mercedes Vito van, the Nissan NV200 van, the Peugeot Expert van, the Toyota Pro-ace van, the Volkswagen Transporter van and the Vauxhall Vivaro Van.